Be nice, would you? 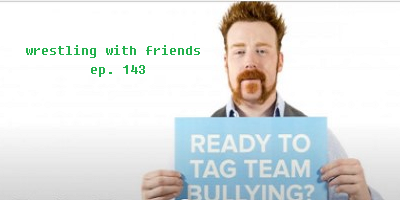 And download our latest episode of Wrestling with Friends! We're tearing each other's List picks apart just to put ourselves back together again. Join us as we chat about The Rock of TNA, a queen, and a genius poet. We're also tossing out some new Pay Per REView choices for you to vote on, so be nice and spread the word about your favorite wrestling podcast!